On a rooftop outside the gallery, a sensor is installed and measures the light intensity. 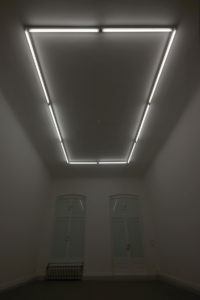 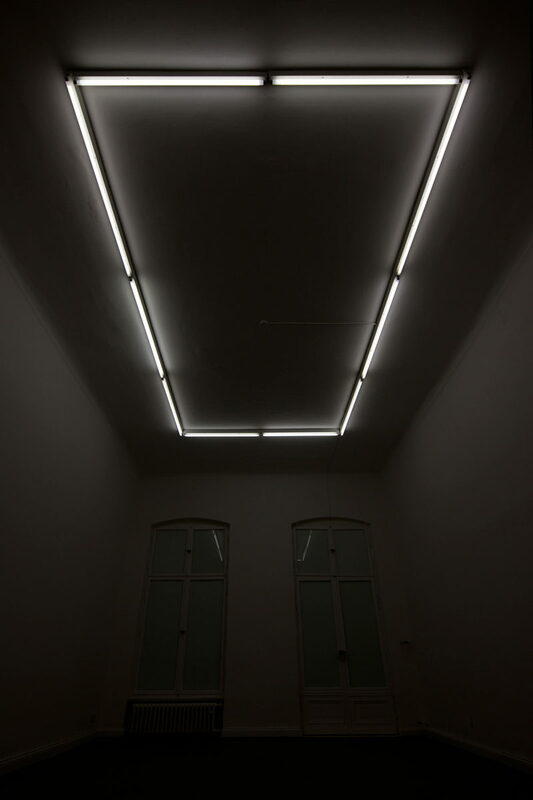 The signal is sent into the darkened gallery space. 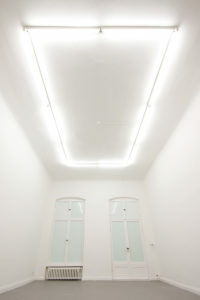 Here the inverse light value will dim or brighten the existing light rails attached to the ceiling of the gallery. 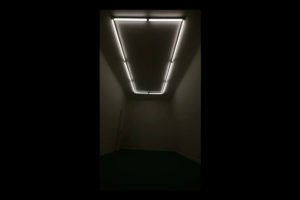 Now light will be dark, dark will be light.